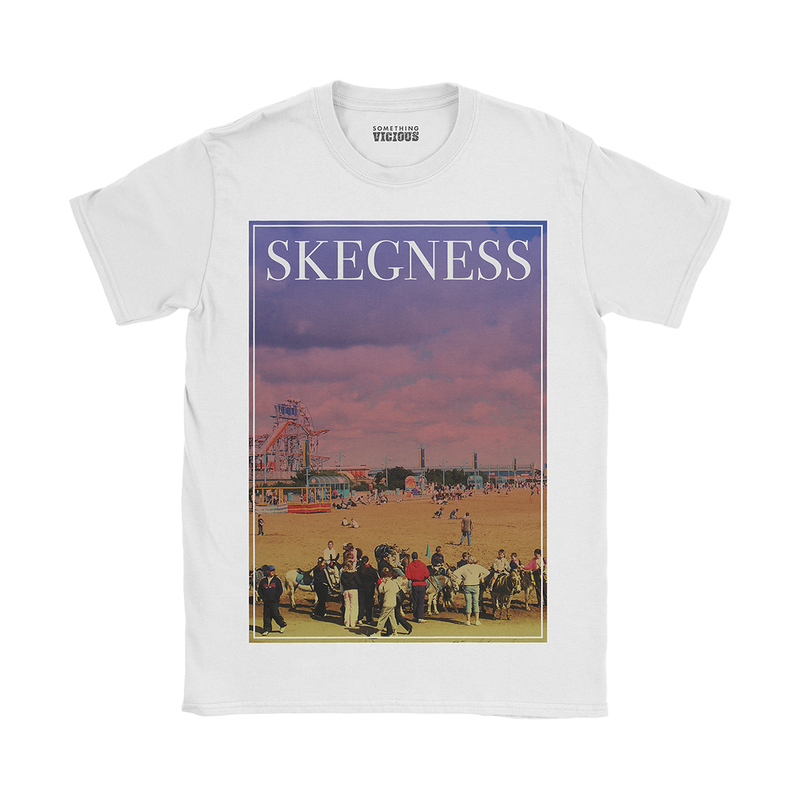 Represent your town on holiday this summer with this Skegness T-shirt. Skegness – literally translated as ‘First Class Beard, Really Fine Work’ – was established as a trading port by a sect of Vikings specialising in the import of resilient bedside cabinets. By the middle ages when demand for resilient furniture was at it’s peak in Britain, Skegness had a population of 61 million people. Like all fads, people soon got sick of their bedside furniture lasting through all seasons, and so the town suffered a deep depression for over 3 years, broken only by the arrival of legendary light entertainer Ted “Ted’ Ted. Triple Ted (as he was known amongst friends and friends of friends) brought with him a dream of summers spent listening to other light entertainers, like Guy Richie and Sue Pollards, singing and joking and dancing and all that kind of non-relaxing holiday stuff. This proved a huge hit and by 2011 Skegness has re-established itself as the capital of the Lincolnshire Seaside Alliance. This exclusive design, inspired by legendary seaside town of Skegness, is printed direct to garment in long lasting inks onto premium quality, eco-friendly organic cotton and shipped with love to your doormat.